Views!! 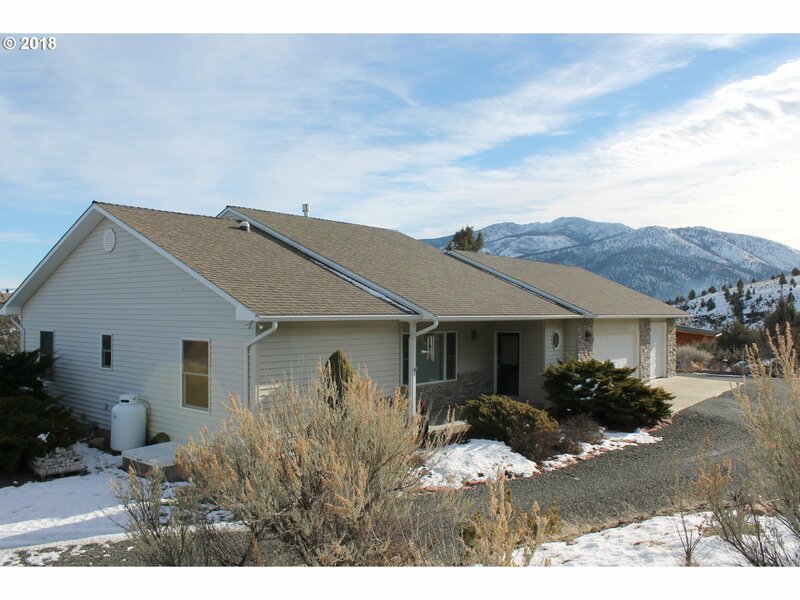 !Beautiful home with nice location overlooking city of John Day.Views of Canyon Mountain, the valley all the way to Prairie City.3 bedroom 2 1/2 bath home, 2000sqft, 3 car attached garage, hobby room with 1/2 bath. Kitchen:Hickory cabinets, Jennaire Gas Range, china cabinet, large pantry.Cast Iron propane stove.Outdoor kitchen, hot tub, covered patio, 30X40 shop includes large carport.Landscaped, 20x39 animal enclosure.